Construction law | Lawyers "Ignatova"
We advise companies and individuals involved in construction projects. 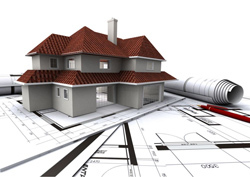 Our team has experience in the construction process and a deep understanding of laws and matters relating to it. We provide advice on all aspects arising from the implementation of the Bulgarian Spatial development act. We will advise you and prepare the following contracts: the design contracts, contract of the assessment of conformity of the investment project, construction contracts, construction supervision contracts, etc.